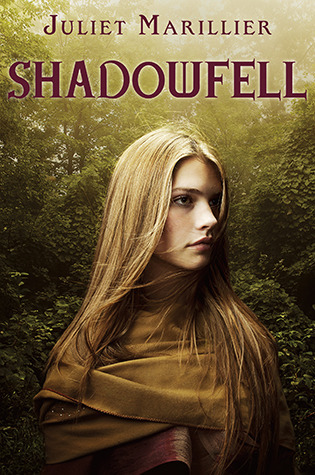 Though the lacking character deterred me for a moment, Shadowfell does sound like a really interesting book with great world-building and writing from the author! Lovely review, I should go pick this up soon! Thanks Alicia! (: Shadowfell really is an interesting novel, so I hope you'll give it a try when it releases! It's definitely something to look out for in the fantasy genre, despite its flaws. "Furthermore, Neryn constantly fails to learn from her mistakes and there is very little character growth in this installment." Not at all excited about that! It always bothers me when a heroine repeats the same mistakes again and again, it makes me just want to reach in and be like OPEN YOUR EYES AND LEARN! That aside though, everything else sounds amazing, especially Flint. I'm drawn to damaged and tormented characters, so he's enough to make me want to pick this book up immediately even knowing Neryn will frustrate me. Fantastic review Keertana! P.S. Go read Heart's Blood!! This book sounds really promising! I haven't read anything by this author yet but the name does look familiar. Neryn sounds incredibly frustrating but I'm glad the rest of the novel made up for it. Fantastic review, K! I am still yet to read anything by Marillier, I only heard of her earlier this year but I do plan on reading something by her. It's a shame that Neryn didn't come off as very believebale but overall this sounds pretty good! It seems unfortunate that your first experience with Marillier was this book. I understand your complaints about Neryn's character but I'm glad you were able to appreciate other aspects that make Marillier a fantastic fantasy writer. I'd definitely recommend you check out Daughter of the Forest (I'm sure you heard that many times already). Protagonist Sorcha undergoes amazing character development in that book. That is the first Marillier book I read and it remains my favorite. Although Shadowfell had some issues, I am still excited to read it when it finally releases. I loved doing the readalong for this one, particularly as we seemed to fall in pretty much the same place at the end as far as our opinions. I am all about the Flint love, and agree that the next novel will likely be stronger than this one--hopefully because Neryn will be stronger as well! Oil Refinery With the appropropriate strategies however you can minimise your risk. Investing in Gold, How to Invest in Gold, Gold Advice, Investment. With profit confidential newsletters you will learn how investment in gold. That is the best play for 2012. We maintain our call for gold to ultimately level out at. Review on the "revolutionary" Forex Trading Pro by Jim Benassi - Extensively Tested At the beginning of this Knol I gave all traders the option of not writing trading plans but reading someone elses plans every day. How to Invest In Silver, Silver Bullion and Coins eHow.com. Investing in gold or silver coins can be an exciting and profitable adventure. However, this type of speculation is not for the. How to Invest in Gold and Silver Stocks.